Free University-NYC hosted to a special event on Sunday, May 25 2014, “Remaking Justice beyond Police, Courts, and Prisons.” We coordinated this event in solidarity with the Justice for Cecily McMillan campaign, and more broadly with people working to end race/gender/sexuality/class violence, police brutality, Stop n’ Frisk, mass incarceration, and repression of political dissent here and around the world. We created a safe movement space to share histories, practices, and updates on these related struggles, and envisioned concrete steps toward transformative justice. This workshop will be facilitated by Claudia Acuña from lavaca.org and MU from Argentina and Marina Sitrin, former legal collective activist and organizer. We will discuss the various strategies of organizing legal defense from within the movements, from the perspectives of the movements – then how one might or might not engage with lawyers and the legal system. This “class” is going to be a short introduction to using websites and technology in activism generally and court support specifically, including the structure and methods of Cecily McMillan’s Support Team. We’ll be talking briefly about the role of websites in internet activism, as well as the effect of a cohesive web-presence in the support model for Cecily McMillan. We’ll wrap up with a brief introduction on tools and measures to set up websites quickly and without code, and provide a list of resources for those wishing to pursue the topic even further. The class will start as a history of mass incarceration and its effects on African American communities. This history will bleed into a discussion about a current project entitled Die Jim Crow, which is a music album written and performed by African American musicians who have been or are currently incarcerated. 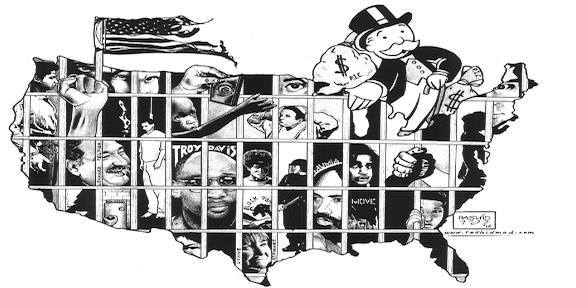 Institutionalizing vulnerable populations into our prisons and hospitals is a centuries long practice that has protected capitalist production from potential social unrest. The jobless are arrested for engaging in ‘illegal’ sources of income, and the employed are over-medicated to ensure continued productivity. This open conversation will explore these historical trends; highlight potential alternatives and steps necessary to move beyond institutionalizing society’s vulnerable such as commoning practices; and introduce existing groups and efforts in New York that are launching new possibilities and practices. We hope this session will allow friends to reflect on these important topics and also link into existing groups and networks that are launching inspiring alternatives. This workshop will share some of the direct action organizing experiences from Thessaloniki Greece, ranging from Free Health Clinics to the recent popular referendum against water privatization – experiences that are not technically legal in many ways, but are organized anyway and are successful. It will also speak to the increase in repression of the movements and how people are organizing in defense/response. This presentation and workshop is based on Bronwyn’s graduate school research about the relationship between settler colonialism and criminalization in Canada. It will be oriented toward a discussion about what it looks like/could look like to build political resistance that makes connections between those processes. Having trained people in Copwatch for a very long time, one of the early lessons was that eliminating the police from a neighborhood or block has to be complemented with a variety of forms of popular justice work, including community intervention, street mediation, restorative justice, harm reduction, and violence prevention. This workshop seeks to give a primer on copwatch as an organizing tool, and then discuss its necessarily complementary relationship with alternative models of justice. Do great cities have a “way,” a “method,” and, by extension, a “rule of life,” or “process” that allows them to live robustly and nourish their inhabitants. If they do, what is the Dao of New York? And can we say that our city is living in harmony with it? This workshop will use Daoist symbols and images to develop strategies for using cyclical process of change and transformation to defend and strengthen our communities, as well as to mobilize and root the energies within ourselves and the city as a whole. The New York Peace Institute has a working relationship with the Brooklyn DA’s Office in which some criminal cases are referred to mediation instead of handled in the traditional manner. Participants have a say in the outcomes of their cases, which include, but are not limited to, harassment, assaults, criminal trespassing/mischief, property damage, menacing, noise, and debts. In addition, participants can address the impact the dispute has had and form plans for their future interactions including decisions about an order of protection. Restorative Justice Coordinator Carrie McCann and Mediator Rebekah Schiller will discuss the current program, how it provides concrete alternatives to the criminal court system, and how to get involved.